The mosque was built for the sake of Emir Sultan who was the groom of Ottoman Sultan Yıldırım Bayezid during the reign of Sultan Celebi Mehmet between 1366 and 1429 years in Bursa, Turkey. 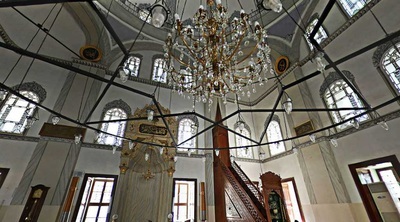 One of the most important structures, Emir Sultan Mosque is located in town of Emir Sultan, Yıldırım, district of Bursa. At the beginning, the mosque has one dome but later, in 1507 a courtyard and porch with three domes were added. Completely demolished in 1795, the glorious building was rebuilt on the same plan by Sultan Selim III in 1804. In 1855, it was damaged in the earthquake and was renovated with high quality in 19th century. 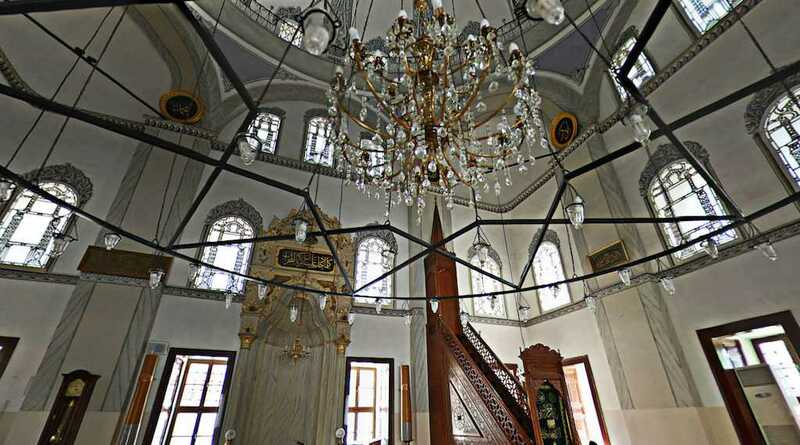 This fascinating mosque has one dome placed on the octagon hoop. There are found the minarets on the corners made from face stone. 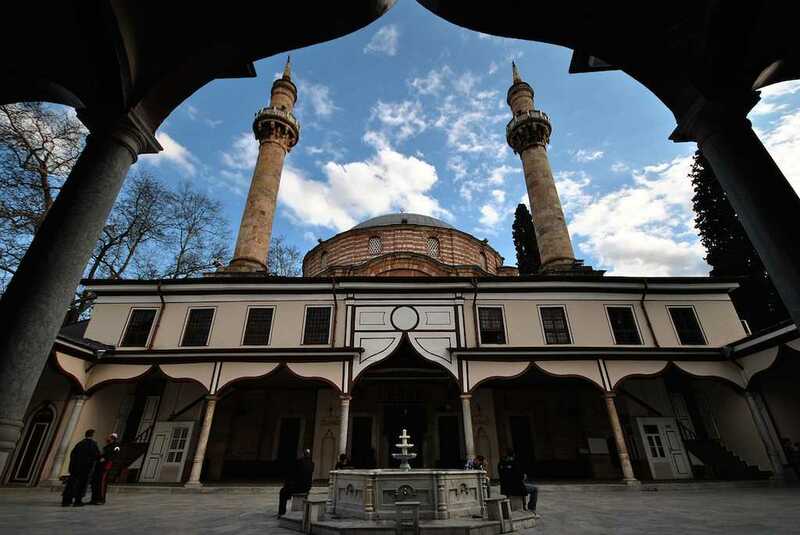 The charming courtyard with rectangle shaped which is surrounded by the wooden pointed porches on the wood columns contains sadırvan (water-tank with a fountain) in the middle, the mosque in the south of it, the mausoleum and wooden rooms in the north. 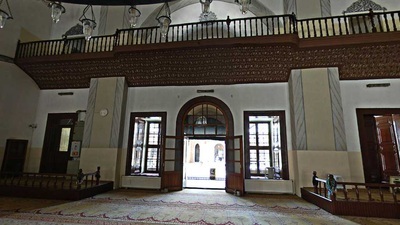 40 enormous windows illuminate the mosque which creates a dreamy ambiance here. 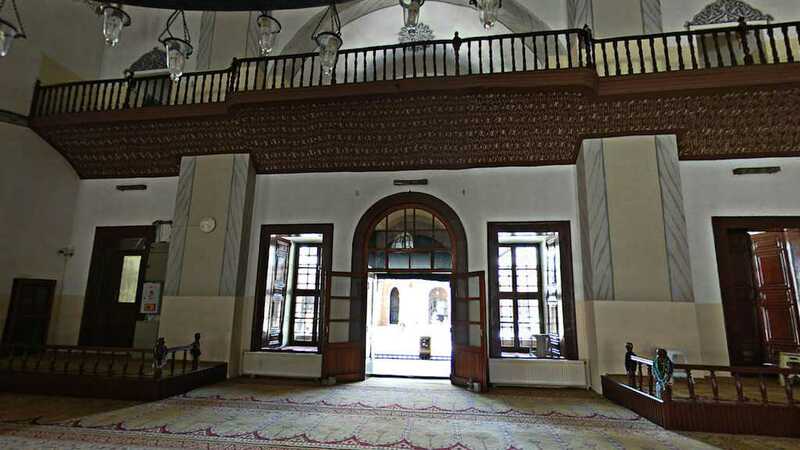 Covered with Iznik tiles belonging to the 17th century, the magnificent mihrab was ornamented fronton with the Rumi motifs. 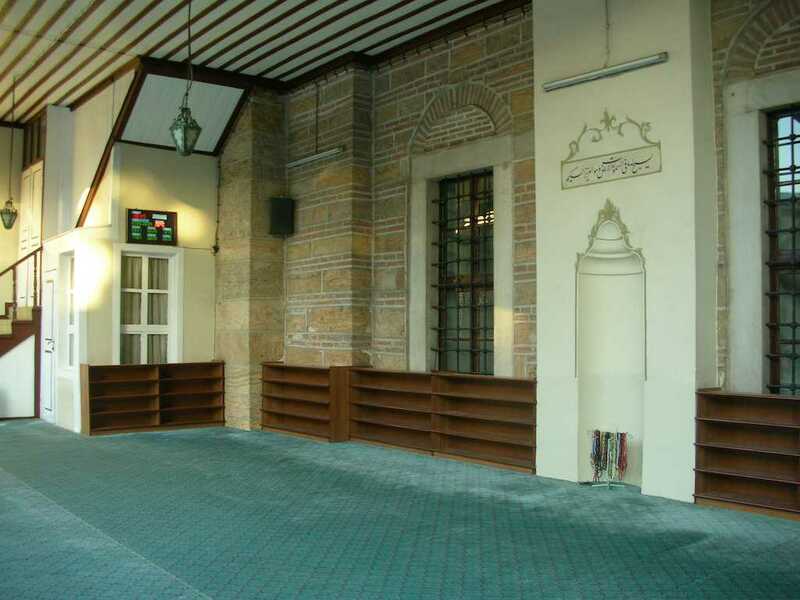 With its magnificent structures, the mosque reflects Arab architectural style. 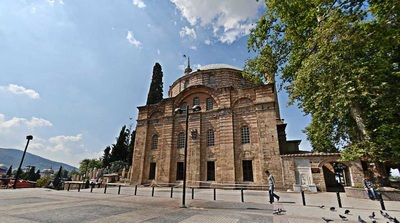 Built by Hundi Sultan (the daughter of Sultan Yıldırım Bayezid) for the sake of his husband Emir Sultan, the tomb is situated on the north of the mosque. The octagon planned grave was demolished due to the earthquake in 1868 but then, it was rebuilt as a Baroque style. 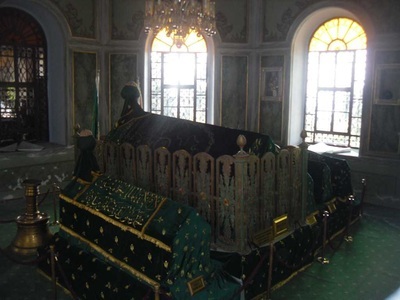 Today, the tombs of Emir Sultan, his wife Hundi Hatun and their two daughters are buried here.